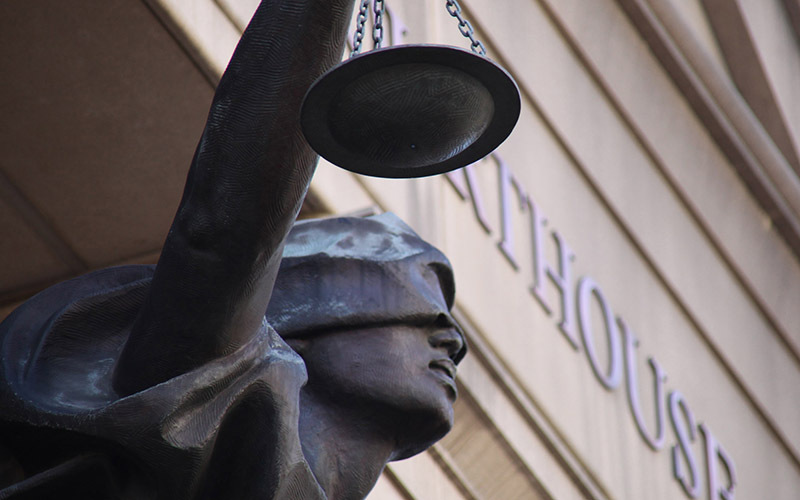 WASHINGTON – Advocates say a backlog in immigration courts denies justice to the accused, but they are not ready to endorse President Donald Trump’s plan to speed up the process by hiring more judges and prosecutors. Under the fiscal 2018 budget outlined Thursday by the White House, the Justice Department would see a $1.1 billion cut to its overall funding. But the budget adds $80 million to hire 75 immigration judge teams, and calls for hiring 60 more border enforcement prosecutors and 40 deputy U.S. marshals to strengthen border enforcement efforts. Immigration cases in Arizona take, on average, 700 days to reach trial, according to the most recent data from the Transactional Records Access Clearinghouse, compared to a national average of 673 days. In Phoenix, the average wait is 843 days. “The fear that we have in a backlog is that due process will be overlooked,” said Lydia Guzman, a community advocate at Chicanos por la Causa. When there are not enough judges to hear cases, Guzman said, immigrants may face expedited deportation without a trial, or be forced to take part in group hearings. “This is denying people justice,” she said. But adding more prosecutors and judges does not necessarily combat this “injustice” if the judges are just going to streamline deportations, Guzman said. Rep. Raul Grijalva, D-Tucson, said Thursday that the “extra support for streamlining” deportations in immigration court is part of what he called an “unprecedented expansion” of border enforcement by federal agencies. The administration “treads closer and closer” to violating people’s rights and personal liberties with the expansion of these measures, Grijalva said, during a webcast to inform immigrants of their rights if stopped by authorities. Sometimes, he charged, the administration crosses that line, taking “a very harsh and brutal enforcement-only policy” toward undocumented people in this country, Grijalva said. But supporters of the budget plan say the backlog in immigration courts has historically plagued U.S. efforts to enforce immigration laws and they applauded the effort to expedite the process. Until now, lawyers and advocates for immigrants accused of being here illegally have been able to take advantage of the “clogged” court system, said Ira Mehlman, media director for the Federation for American Immigration Reform. Undocumented immigrants can use that time to “disappear,” Mehlman said, or they can prepare a better case for being allowed to remain. Still, advocates find the immigration court proposals a worrying sign for immigrants seeking to get fair trials. Petra Falcon, executive director of Promise Arizona, said the availability of lawyers to defend immigrants is already stretched and will only be more stretched to cover more cases if extra prosecutors and judges are hired. Immigrants facing deportation in court do not have a right to government-appointed attorneys, according to a report from the American Immigration Council, because deportation is classified as a civil offense rather than a criminal one. “Whereas in the criminal justice system, all defendants facing even one day in jail are provided an attorney if they cannot afford one, immigrants facing deportation generally do not have that opportunity,” the report said. Plus, Falcon said the immigrant removal process is already being expedited. She said parents are being taken from their homes and being fast-tracked to deportation without getting a hearing or any trial at all. “The question becomes for us: What is happening to the family members, especially the children, who are being left behind?” Falcon asked. She said immigration advocates “were feeling hopeful again,” after federal judges in Maryland and Hawaii this week temporarily blocked Trump’s ban on travel to the U.S. from certain countries, which was supposed to take effect Thursday. But the budget proposal could bring them back down to Earth and cause them even more chaos, Falcon said. “We’re in for a bigger nightmare than we are in now,” she said.